Interesting show, enjoyed it more this year than last. No doubt there were things one could focus on as a retailer which might make a fellow feel uncomfortable in terms of marketing. But, lets talk tackle and focus on the super, the good and the strange. I took images of some key products which I'll share, but I also want to mention a couple goods ones which I missed shooting. DAIWA - Not much new in terms of saltwater reels. There's a replacement Tanacom Electric 500 size. 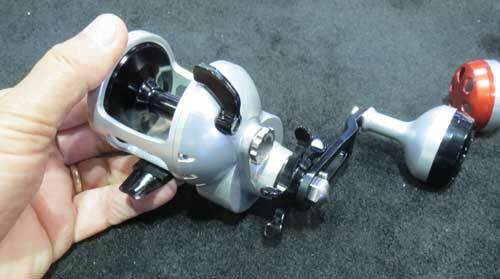 There will also be a less expensive spinning reel coming in the fall, under the BG. The old BG's are now officially history. The new piece will be $10-20 under the current BG's which will be going up by about 10 bucks later in the year. I wasn't jumping up and down over the new spinner since the BG is so darn good at such a winning price. Even a small increase of $10 would not make me want to step down given reliability issues with saltwater focused gear. Drop too much, and you have a disposable product. So, as a retailer, I'm pretty comfortable with BG's and Saltists in our Daiwa mix. 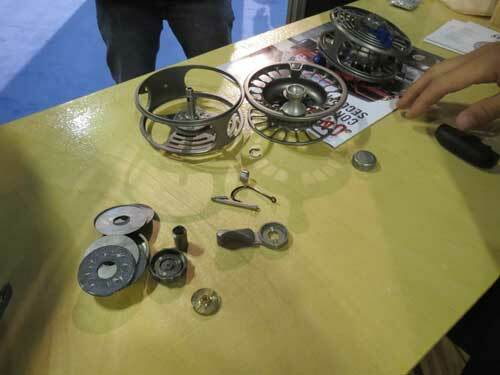 Seigler - Showed a new star drag reel as well as another GT oriented Fly Reel they showed me last year. 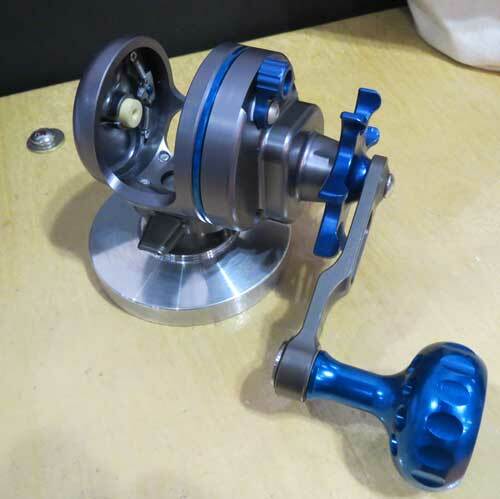 The heavy duty fly reel won them an award at ICAST - best new fly reel for 2018. 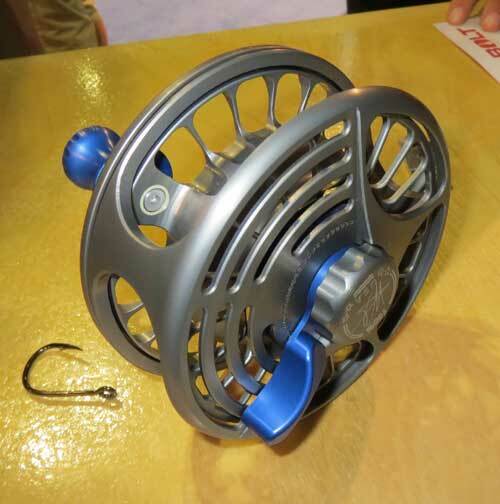 The reel is overbuilt, made for easy maintenance and VERY reliable under harsh conditions and tough fish. 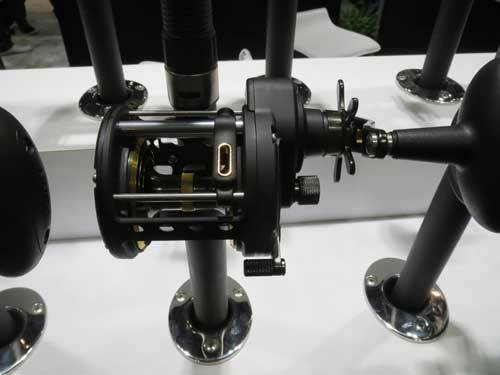 It is the strongest reel of it's type on the market. The new star drag from Seigler below is the size of an SG - compact and well overbuilt. Seigler - check the oversized drag stack! 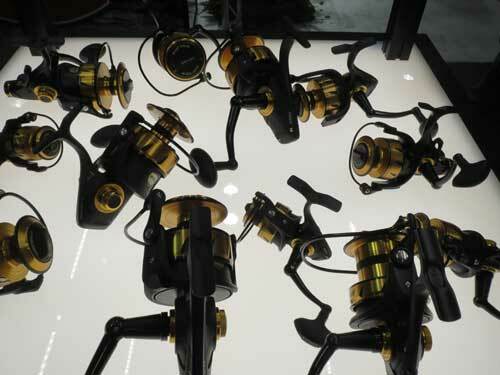 Big news from them was a new group of star drag reels. 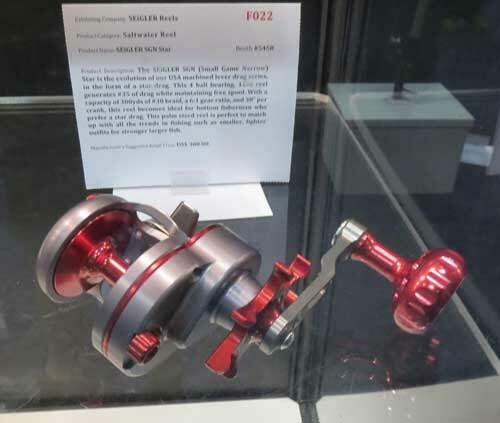 (are we seeing a re-awakening of star drag reels?) Interesting cosmetics, looks kind of bulbous on the sideplate. Intersting to see folks like Accurate and Seigler going star. For Seigler, maybe not so much since they have two stars in their line now. For Accurate it's brand new turf. Avet played a bit of a game at the show. 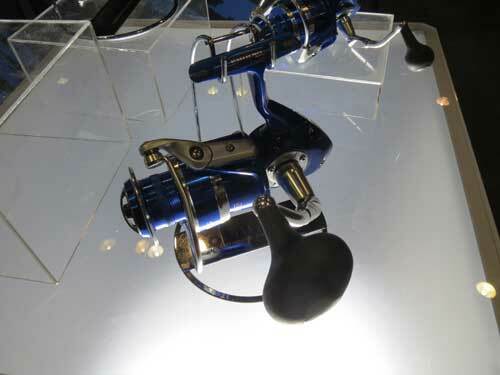 They announced their new star drag as well as a 130 sized reel. The 130 will come first as a two speed, they may come back with the three speed - which would really make some sense for them in this category. The star was something Harry at Avet has talked to me about for, well for about 15 years. Harry has had the piece designed, just like his levelwind and spinner. But, he never brought them to market. 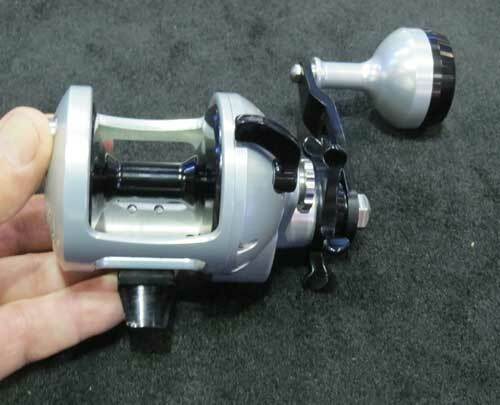 Given all the pre-show talk about Accurate and Seigler's new star drag reels, after noting that Okuma has been hitting a home run with a well made and smartly priced quality star drag reel, it appears that Avet will bring theirs to market, too. There will be three sizes, 300, 400 and 500. The reels maintain Accurates Twin Drag form, that's the reason for the extra room on the sideplate I was told. Not a big year of introductions from Penn. There will be an update to Fathom Levelwind reels, and the Spinfisher will be enhanced with a true waterproof drag system. 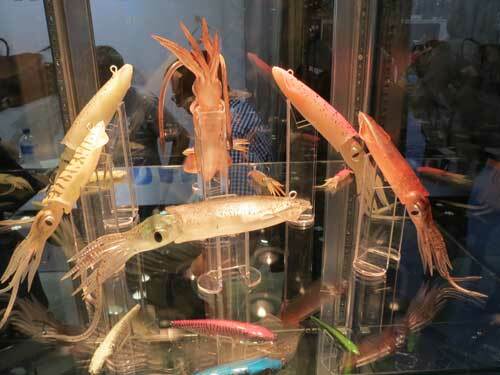 Spinfisher - they'll also have a 2500 size in the series. 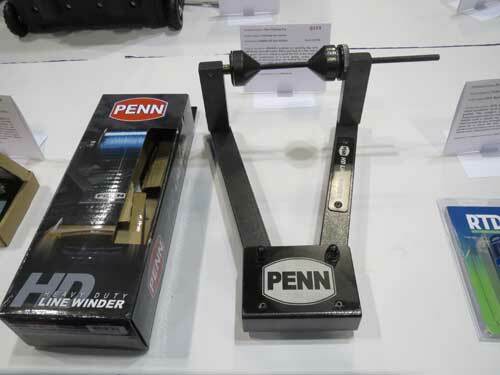 I didn't get to spend time with what I liked best from Penn at this years show. They came out with a nice linewider for the consumer. It's very simple, basic, darn functional. It has a brake system so you can gain some tension on the line. Should work better than having your kid hold onto a spool on a piece of doweling with a couple tennis balls stuck on the sides for pressure. 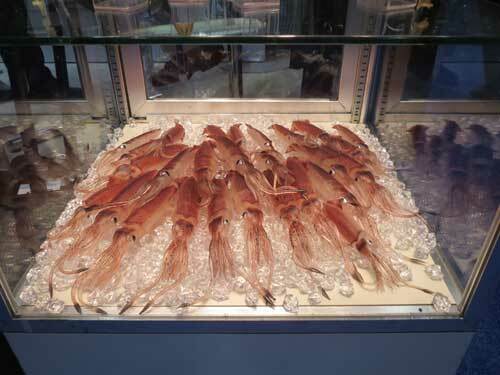 Okuma will be making what I've been wanting to see for the past three or four years. I love my MK10's, and same for my 16. But, I've wanted something in between, and they gave it to us. Pictured in the center in silver is the MK15T (tall) sandwiched in between a MK15 and 16. 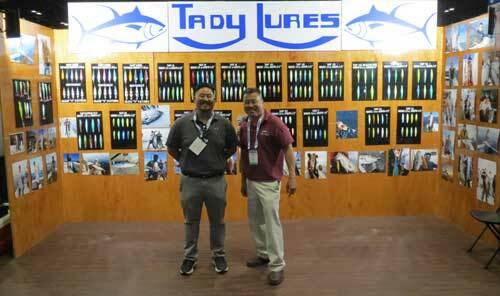 Nomad Design, they made a big impression at the show, many Australian firms coming to ICAST showing off their saltwater products. 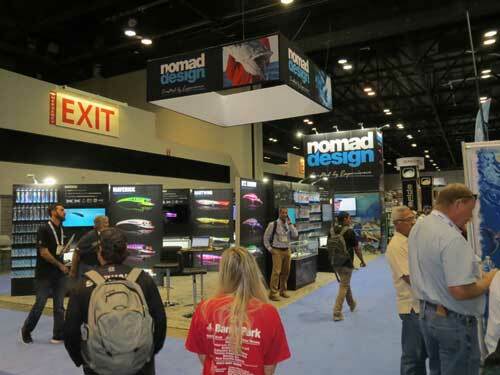 Nomad made a very good first impression with folks, and expect them to be a player, they have some very good lures, proven, durable, different. They guys from Tady showed up this year, they're trying to introduce more East Coast guys to West Coast Iron.